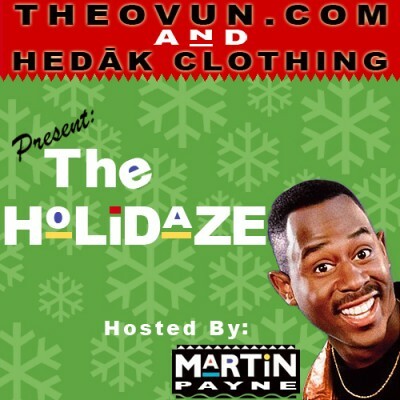 TheOvun and the homies at HedAk Clothing [The Fashion Dept.] linked up and put together an ill tape for ya’ll holiday enjoyment. Erbody else put out mixtapes why can’t we? Mixed by your next favorite producer Intell. Hosted by the one and only Martin Payne, Tommy couldn’t do it cause he ain’t got no job, and Cole couldn’t do it cause he stoopid. A big reason why this site started is because of the lack of information on the Underground Scene. A combination of too little coverage and information overload resulted in our site as a midpoint between the two. I’ll be the first to admit that not everything on the underground is listenable. Alot of it’s boring or just way too left field to even be discussed. I don’t fault cats for copping a Lupe album and leaving their good rap collection at that. What we’re trying to do over here is siphon all of that confusion out and just give you straight up GOOD Music [No Kanye] that you may have never known otherwise. For real heads, you might be annoyed that some of these tracks are old, but I’ve always said, if you ain’t heard it, it’s new to you. This tape IS a combination of old and new, however, these tracks right here, have never left my top 20 in iTunes. If you’ve never heard these tracks, enjoy and learn a little bit more about the artist. 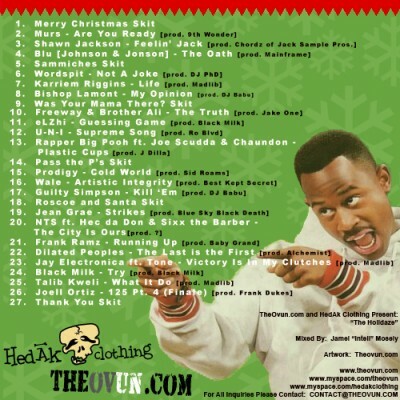 If you HAVE heard these tracks, enjoy the damn mix, Merry Crit-MA!!! Previous PostDJ Exile Making MagicNext PostGrafh is BACK!